Just yesterday a wild leak started circulating around the smartphoneverse. Repeated and reaffirmed by multiple sources, it is slowly starting to look like a plausible leak... to the dismay of those who are hoping it's a joke. 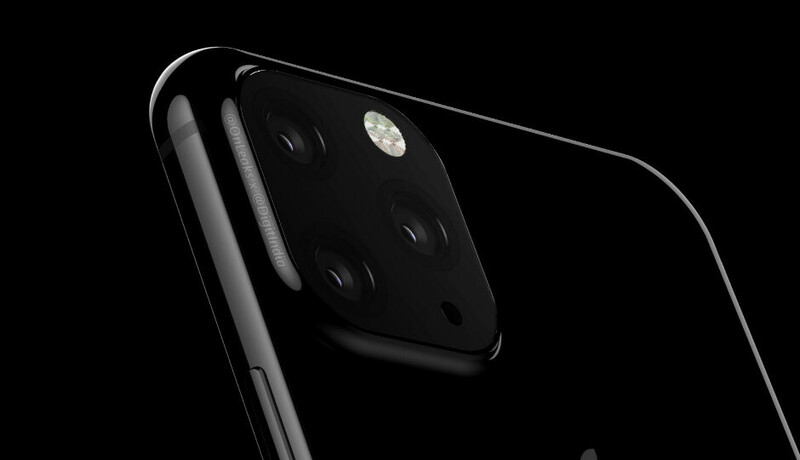 We are talking about the most recent iPhone XI images of course — renders, allegedly based on the real thing, have popped up online and the camera bump on the back looks... alarming. It's big since it now holds three lenses, it's square-ish, and it kind of lacks symmetry. A lot of tech pundits were quick to point out that the leaked design is not as elegant as one would expect from the next big Apple phone. But everyone's still holding their breath since this leak, if it is truly legitimate, may easily be of an early prototype. Don't panic yet — the final product may yet look different. But hey, let's actually gauge public opinion. What would you think of the iPhone XI if it came out looking like this? What do you think about the alleged iPhone XI look? Oh no... Burn it! All of it! I guess... I can learn to live with it. It's fine. Oh no... Burn it! All of it! I guess... I can learn to live with it. Feels like a joke rather.. The funny thing is everyone is laughing now but you can be dead sure that this will be the design trend from here onwards. Almost EVERY SINGLE MANUFACTURER will copy it and we will all love it. That's true, but it doesn't mean it's not ugly. I never had an issue with the notch on the X and now XS, but I strongly dislike the camera hump on the back. Still, I doubt this is the final design, people are fighting on a render that is most likely based on the imagination of a fanboy. 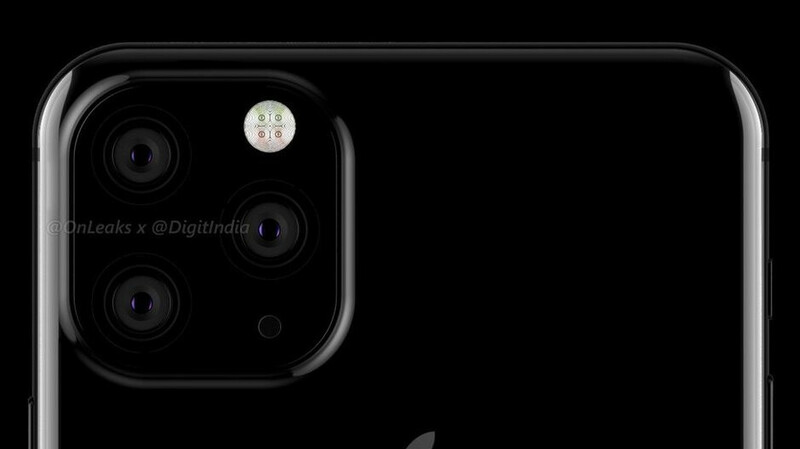 I feel like if Apple do add a 3rd lens, the back design will look like the XS with the camera hump slightly stretched to fit the 3rd camera. Sure there are brands that will copy it like they copied every major player. But no we won't all love it. I still hate the notch but learned to live with it. And if every single company would choose this monstrosity of a camera hump, I would hate it but will learn to live with it as well. We won't love it. We'll be forced to deal with it like every other stupid trend the OEM's push on us. Except its already been done on the mate 20 pro , just moved to corner. So guess that means apple will be the one that copied if this is how it will look. They will just put all 3 cameras in a row. Not like the photo above. April Fools joke came a little early. There's no option for this being fake. It's funny how people are surprised that apple couldn't do this. Apple has long gone South and they're no longer the standard when it comes to design if we're being honest. BTW, Isn't this what we say every year and it ends up being true for every manufacturer? These leakers are highly connected and the earlier we come to terms with it, the better for us. However, I like this design, so much even. I like the fact that it stands out. I like the feeling I get from it. Couple that with a substantially we UI and I'm good to go tbh.. meanwhile for the meantime, the Huawei mate 20 pro serves me well. The might be my next from the looks of it. I don't think it's real but if for some crazy reason it is, I could live with it. I really love it, even if it's not necessarily beautiful but for the fact that it's interesting. Phones have been so boring for a while now with no stand out design feature. Everybody is laughing now till 90% of other phone manufacturers copy's them to a T. Heck, I can even say a manufacturer will design this before apple themselves now LMAO.. this honestly reminds me of the Nokia days and I love it. This will get the public talking and I wish apple could patent this tbh. The unsual nature of it makes it look like a beast which is just so cool. That's what they said when the iPhone 6 leaks released. For folks who think Apple is not capable of this design, remember the horrible antenna lines on iPhone 6. No one wanted to believe it but later lived with it. I am a function over form person. If this what it will take Apple to take better pictures than Samsung or Pixel or Huawei, I am fine with it. Looks better than super ugly s10. Yeah okay. I've always liked Apple's designs (for the most part), but this is ugly IMO. They are not Samsung. They don't have the tech to get rid of the bump without sacrificing on the quality of the camera.